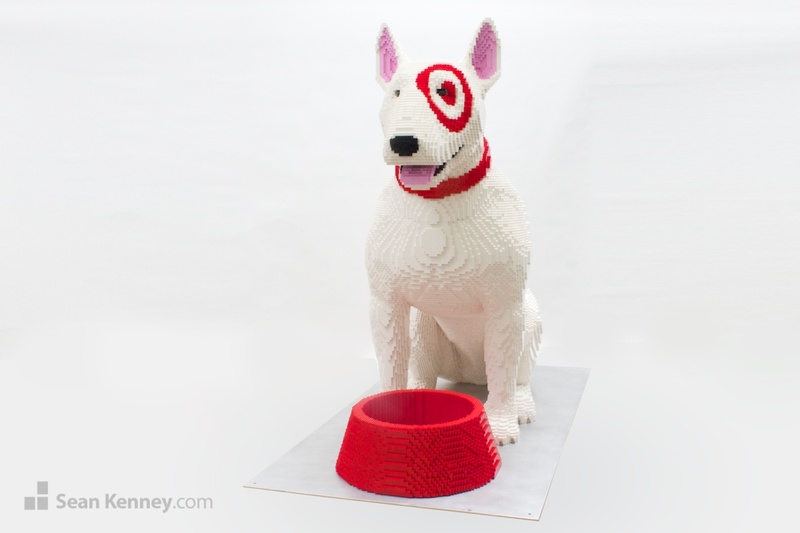 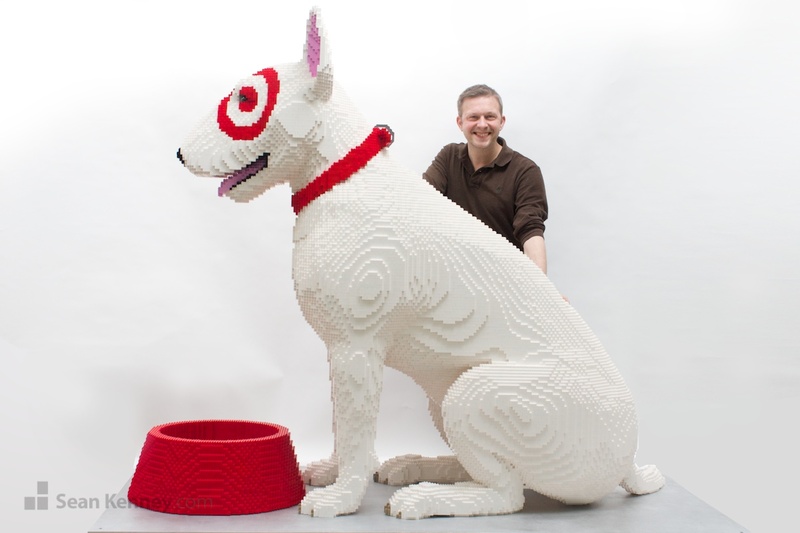 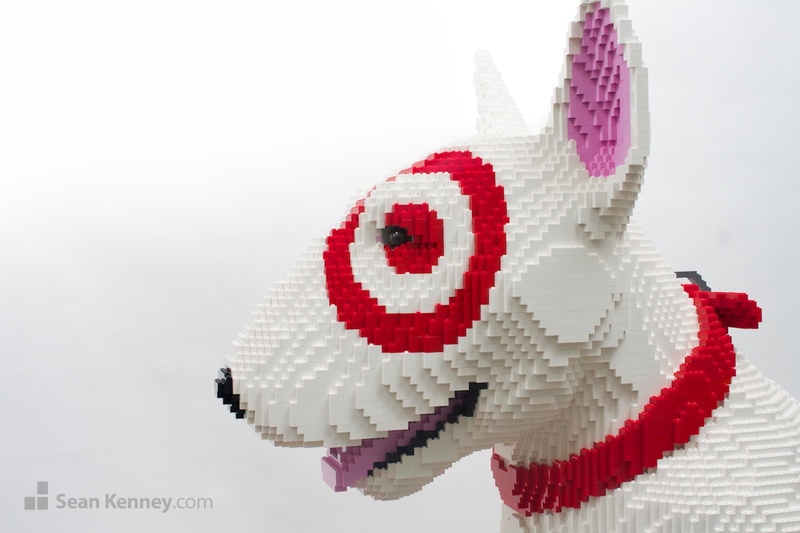 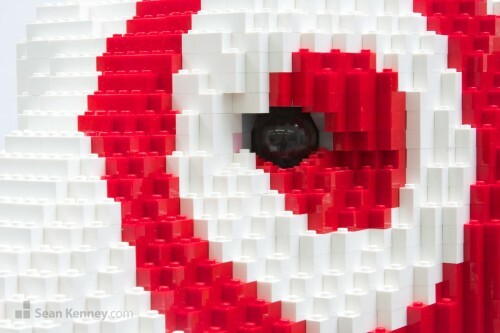 Global mega-retailer Target ‘s mascot, Bullseye is an visual icon recognized by millions of people. 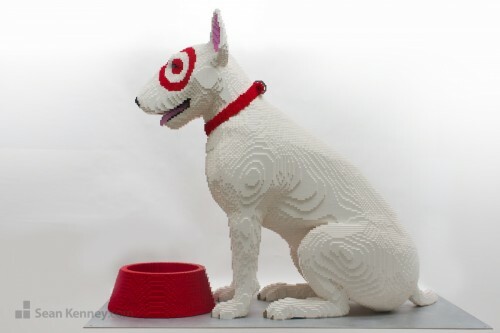 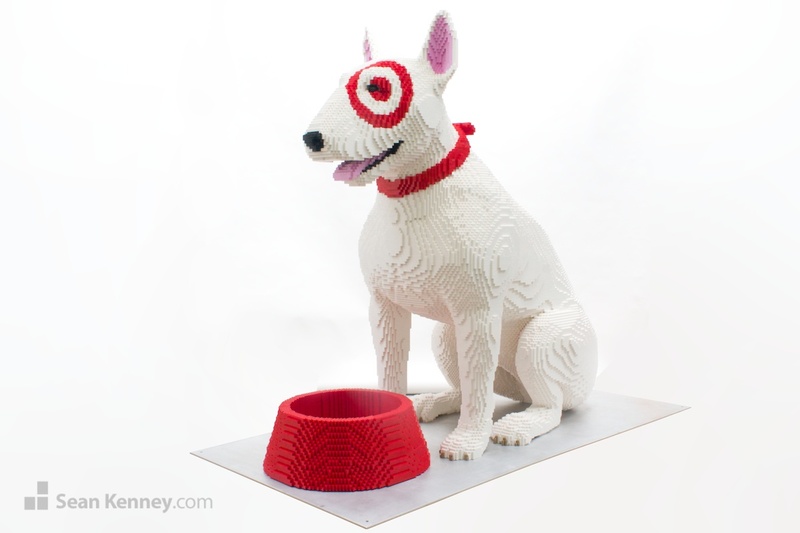 This sculpture, commissioned by Target, was on display at Art Basel 2015 and a NYC’s Gallery Scene in Chelsea spring 2015. 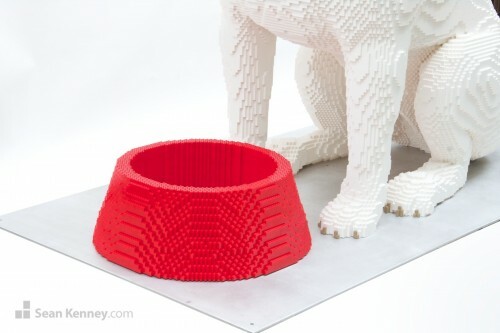 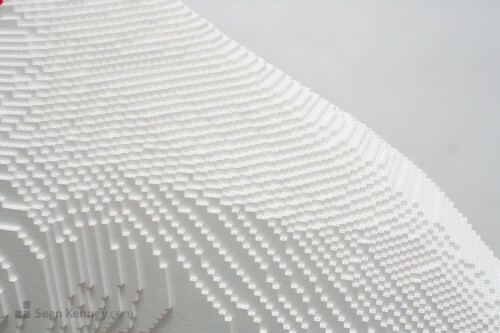 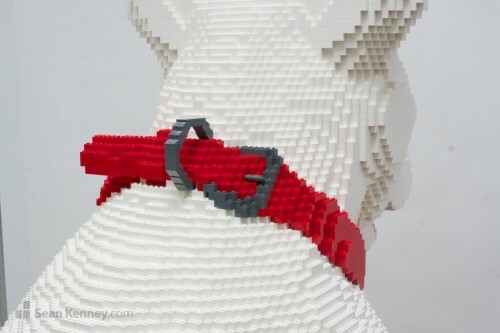 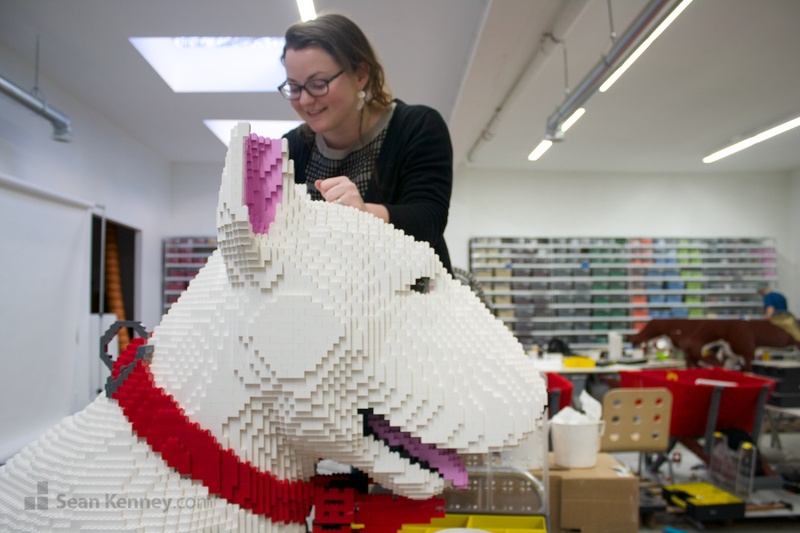 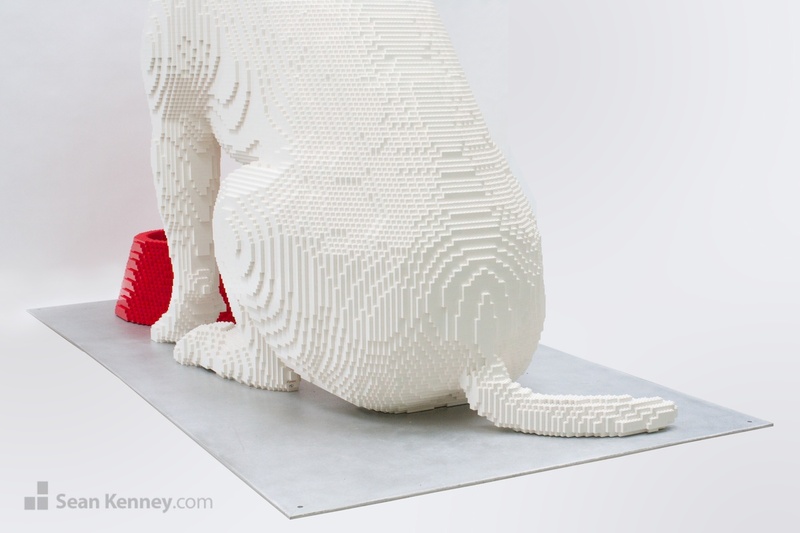 The sculpture stands 5.5 feet tall, contains 39,800 LEGO pieces, and took about 2 months to create. We spend an enormous amount of time on the design of the eyes in our animal and human sculptures. 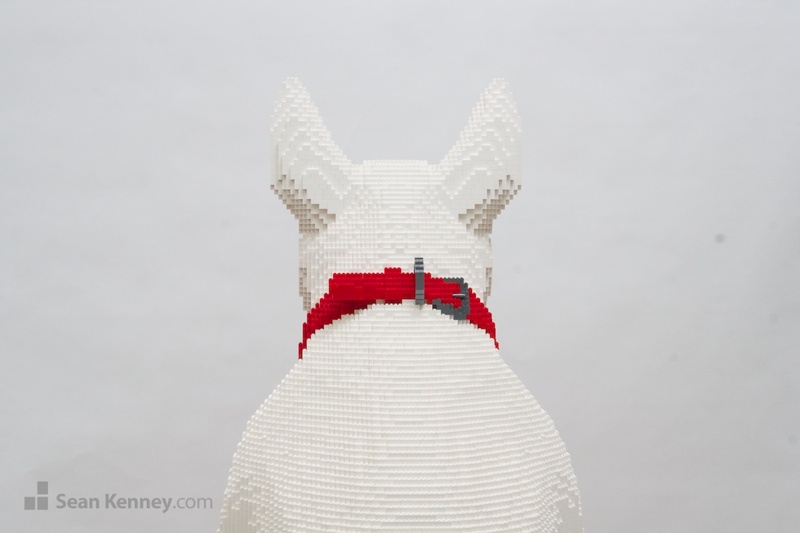 Stylistically, it is important to me that the expression of the face is true to the personality of the subject. 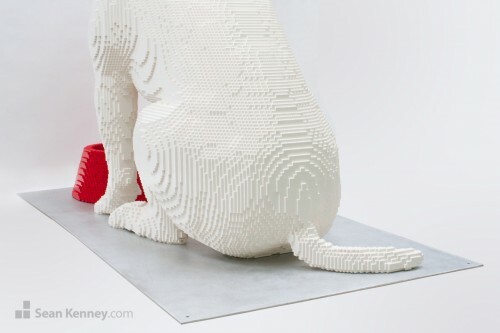 From a technical perspective, we need to determine how to get specular highlights, colors, and scale correct with a limited palette of off-the-shelf LEGO elements. Bullseye’s pupils are a combination of radar dishes, smokey-clear colored domes, and many other parts. 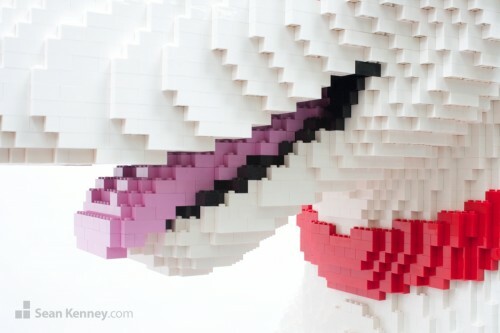 We even found an old desaturated pink LEGO piece that was perfect for the corners of his eyes. 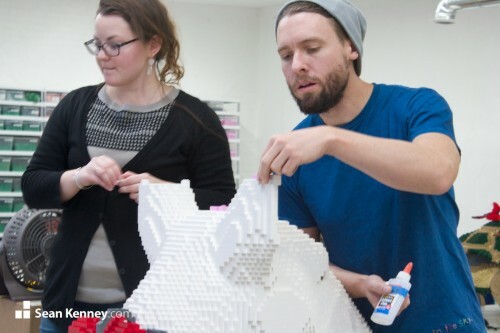 The sculpture took about 7 weeks of full-time work to design and build by my assistants Geoffrey and Valerie (below). 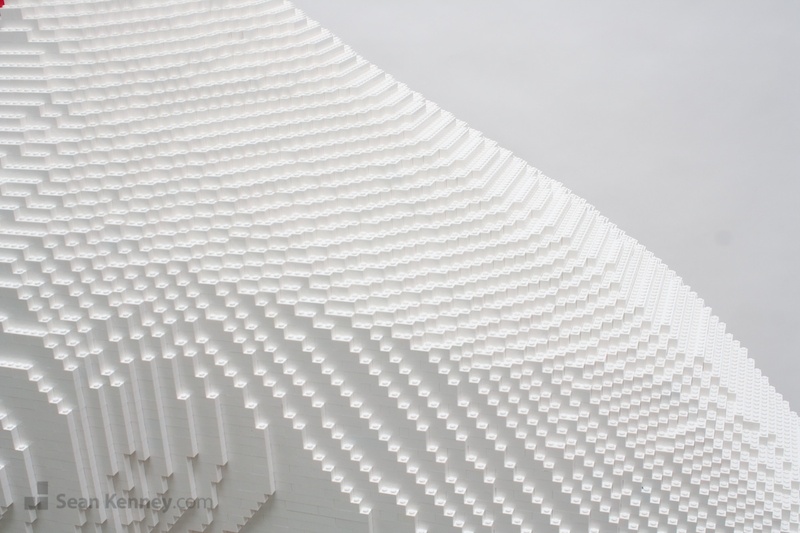 The sculpture is built around a welded metal frame for rigidity during public display and transport. Each piece is glued, one by one, as it is added to the model.